A couple of weeks ago I shared a couple of Sunday strip ads drawn by Tom Scheuer when he was working for the Johnstone and Cushing company. When the company folded in the early sixties, the work didn't stop. Here are three newspaper ads from the mid sixties by two former J&C artists. The first two are by Tom Scheuer (or at least, that is what I believe). The third one is by Bill Williams, who also work on the J&C produced comic section in Boy's Life. This is just the stuff this blog was made for. It probably was never seen after it's first publication and even now it is nothing more than a rarity. 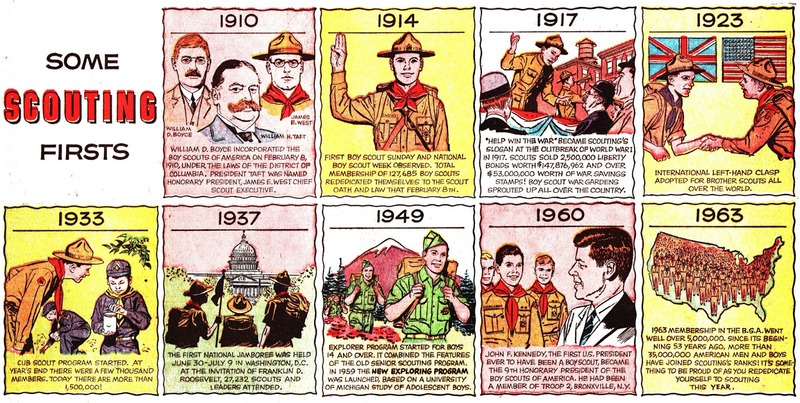 He had been involved with the scouts.